Not really a gear test but my thoughts on the Vibram five fingers as a lightweight trekking shoe alternative. 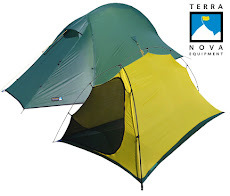 Most of us lightweight trekking types have already long converted from the heavy leather boots of old to trail running shoes as our primary shoes for trekking. But another alternative to try would be the Vibram five fingers. The Vibram five fingers have been around for a number of years mainly used for minimalist running. 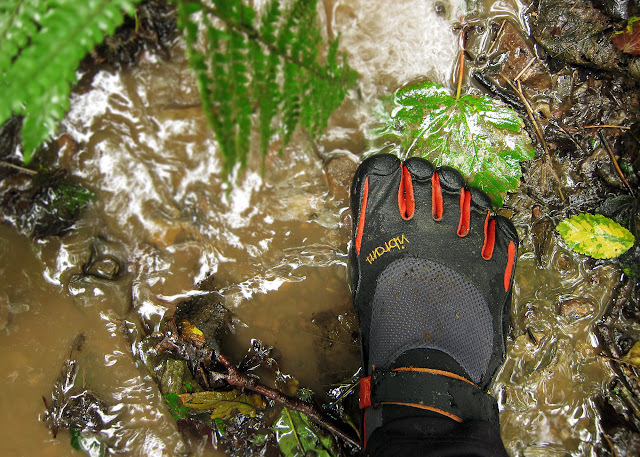 Here are my thoughts on the Vibrams after using them for a couple of months.As you probably already know the five fingers have become really popular as running shoes mainly after the book ‘born to run’ by Christopher McDougall. Who quite literally over night popularised the concept of ‘barefoot running’ which has since become very popular among running enthusiasts. This after many years of being told that we have to run with large pads on our heels. If you have never run in barefoot running shoes they will make you run in a more natural way by making you land on the ball of your foot rather than the heel. It is quite literally like running barefoot but with the added protection of the shoe. The feeling is often described as getting back to nature and for eco types almost ‘spiritual’ as you feel more connected to the land you are running across. So after using these shoes for running I have also begun to use these shoes for lightweight trekking and backpacking. I can’t confess that I have used them for long-distance trekking but only for walks of about 10-20 km carrying about 5-10 kg. Over these short distances I have found them great and have not had any difficulties. I have heard that some people have used them for extended treks like the Pacific crest trail with varying degrees of success. The getting back to nature and releasing the ‘inner hobbit’ is what initially drew me to these shoes as I primarily run in woodlands and on nature trails. The conversion from traditional running shoes was easy for me as I have been running with flat trail shoes for a number of years. However, if you have been running with heavily padded running shoes on roads I would take the conversion a little more cautiously. There are certainly times and conditions when you would not use barefoot running shoes for trekking, probably the most obvious one would be in snow as they provide no thermal protection. You probably would not also want to use these shoes if you were trekking over very rocky ground for extended periods as they provide very little padding. It most also be noted that these shoes provide very little protection for your toes and so they are definitely not recommended for scrambling etc. 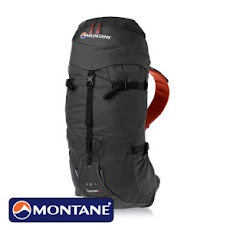 Apart from the disadvantages in certain environments and conditions these shoes are generally a joy to wear and I would definitely use them for lightweight backpacking on certain routes. They also make pretty good camp shoes too.